Pigments, pigments and more pigments! These shades are great to use if you want that extra kick of color. 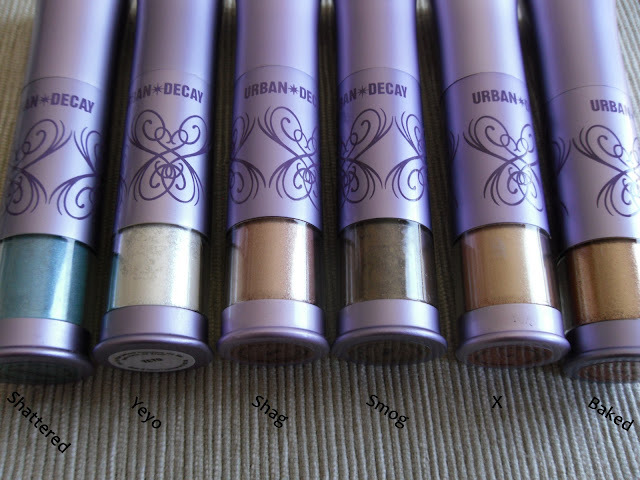 If you like any of the colors you see below you can pick them up on Urban Decay's Website for just $5.00!! I picked the ones I have up when they were on Hautelook for just $2.00 so your still getting a great price since Hautelook events only last for about a day, they do occasionally show up on their so you might want to like them both on Facebook to stay current on them! 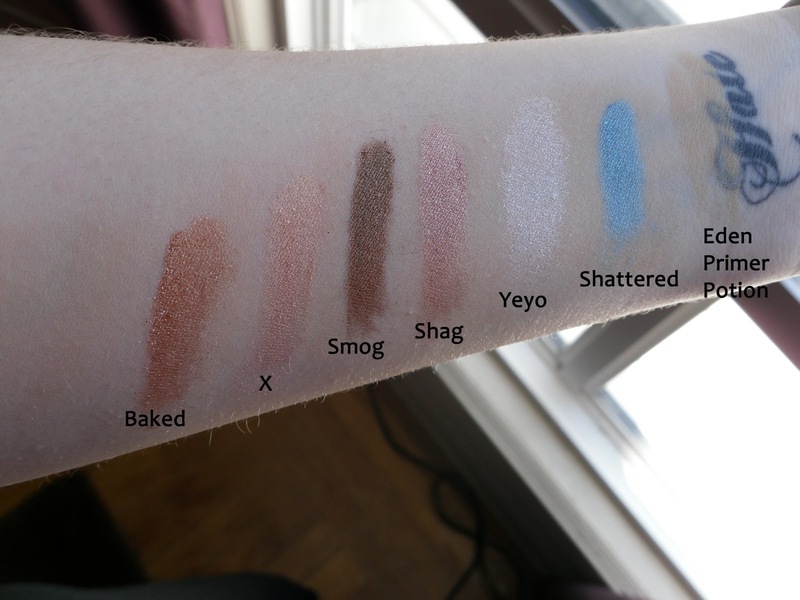 Anyway lets get to the good part the swatches! I use these pigments particularly the shade called X on a daily basis. They can be a bit messy to apply if your just using the brush that is provided however if you tap a bit out onto something like a tissue and then use your brushes to apply you can avoid a lot of fallout. They last all day, never crease, and don't feel heavy on your eyelids. If this was in a pot instead of a tube I think it would be a lot easier to apply and less messy when it comes to fallout. Other than that everything about these is great the powders and silky smooth, not heavy on the skin and are highly pigmented for great color. Would I recommend it: Yes, especially since you can usually pick them up on sale!